Our scope alignment shooting targets have been the #1 choice of riflemen for 25 years. 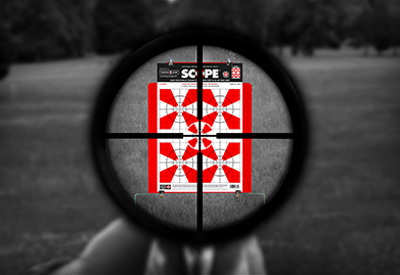 The unique angular design of Thompson scope targets allow the shooter to quickly and easily center their crosshairs on the bullseye with extreme precision. The 1" grid also allows the shooter to make accurate rifle scope adjustments for faster alignment. Not only will you see your sights clearly on our targets, but you will also see your hits even from very long range. We use quality bright white paper and vibrant fluorescent red ink that allows the dark bullet hole to create high contrast and be easily visible even to the naked eye. The choice is clear. 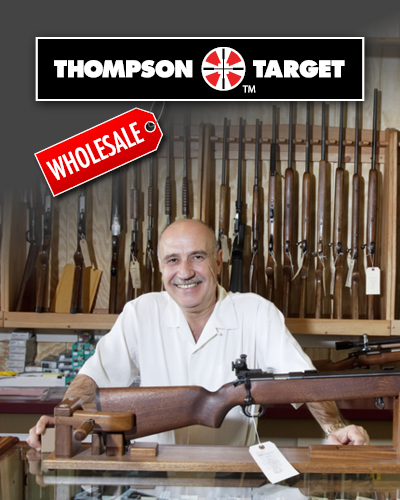 For true precision when aligning your rifle scope, choose Thompson Targets when you're shooting for the best.